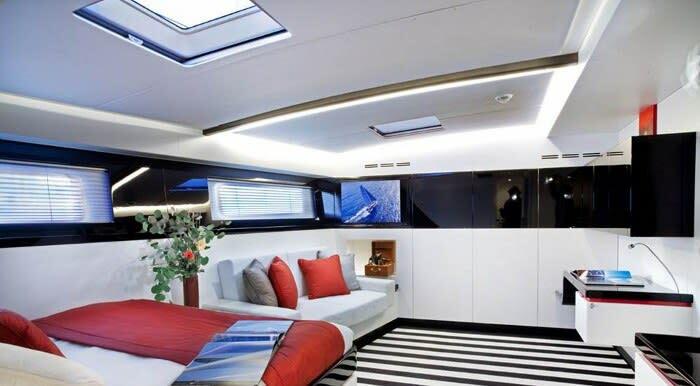 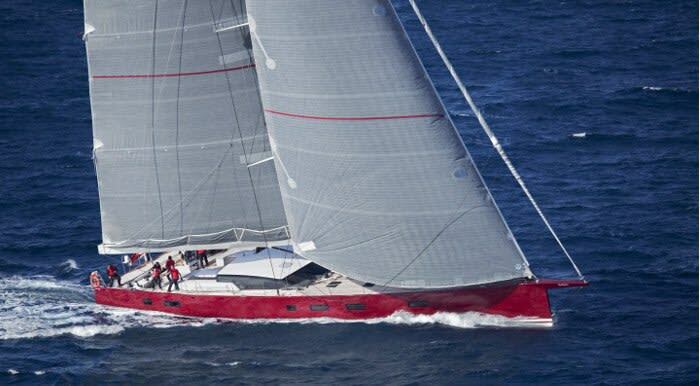 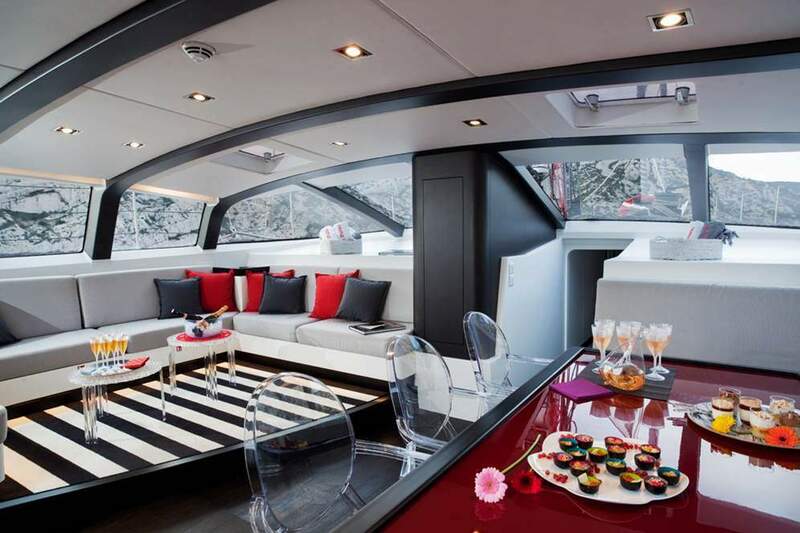 The 'Nomad IV' has been called 'the world's fastest 100-footer' by her designers, Finot-Conq. 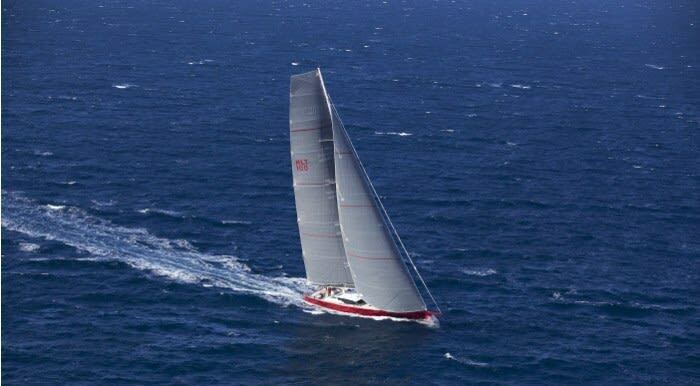 She was purpose-built to combine the speed and exhilaration of oceanracing yachts with the comfort of cruisers. 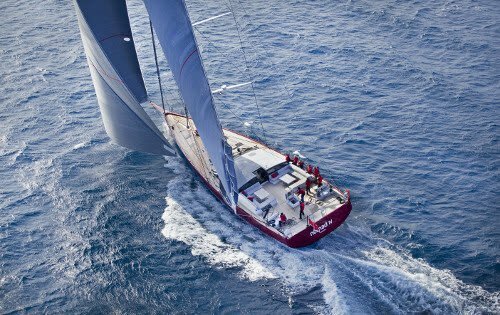 She cruises comfortably at 10 knots, but speed tests have gotten her well above 20 in the past. 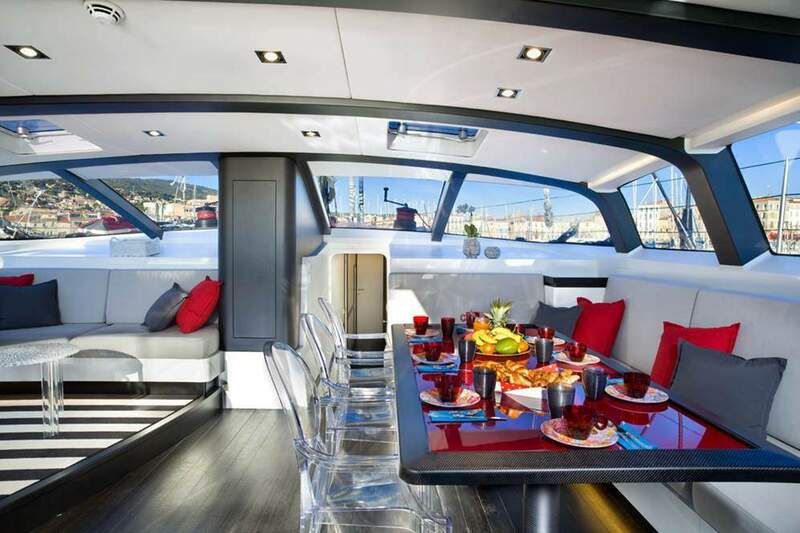 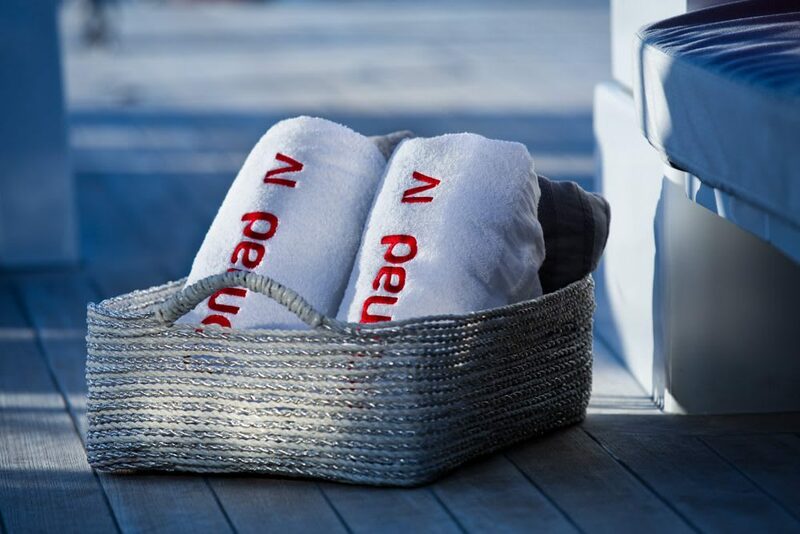 Charters are available across the Mediterranean. 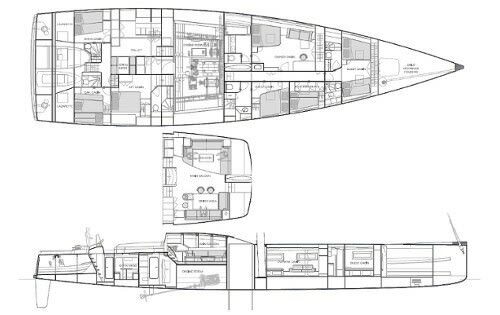 She comes with an experienced crew of 4. 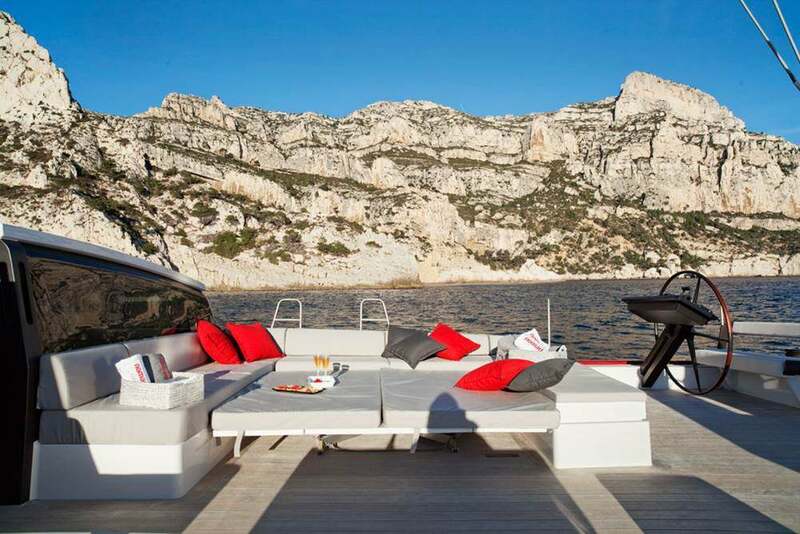 Prices start at €52,000 per week (£46,706 as of 30/08/2018) during the low season, and €56,000 (£50,298) during the high season. 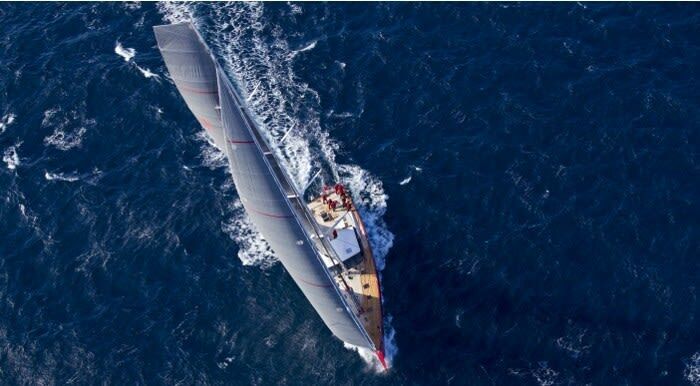 She is an 100 ft extrapolation of the Vendée Globe Open60 class, or from the Volvo Race. 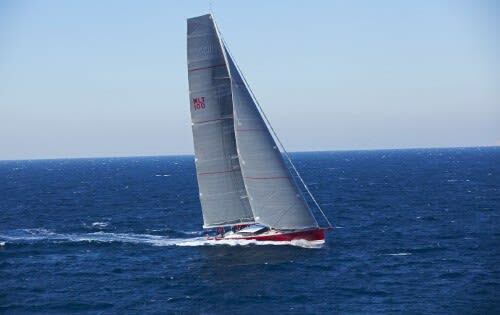 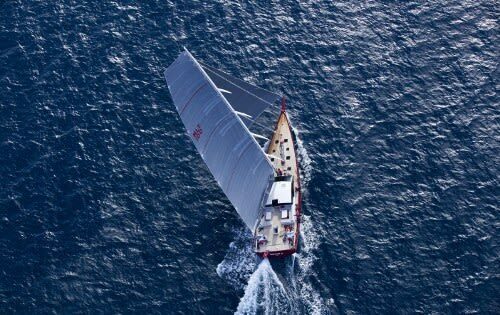 She took the gold medal for the RORC Transatlantic 2015, and has also won prizes at the Showboats Design Awards 2014 and The International Yacht & Aviation Awards 2014. Design work began in 2010 and she was three years in build at the Maxi Dolphin yard in Italy before her launch. 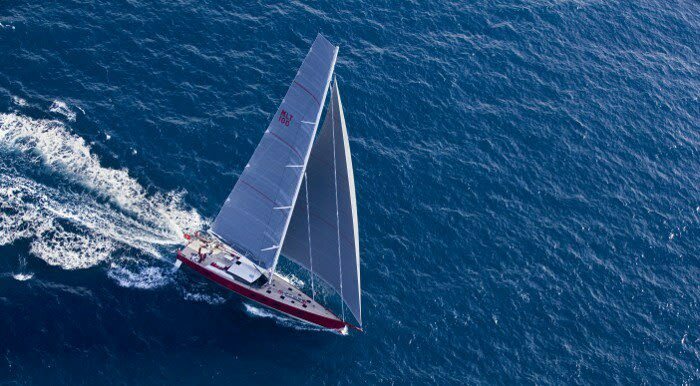 She has state of the art technology such as a carbon mast and 3DI sails, capable of delighting even the most experienced yachtsmen at the helm. 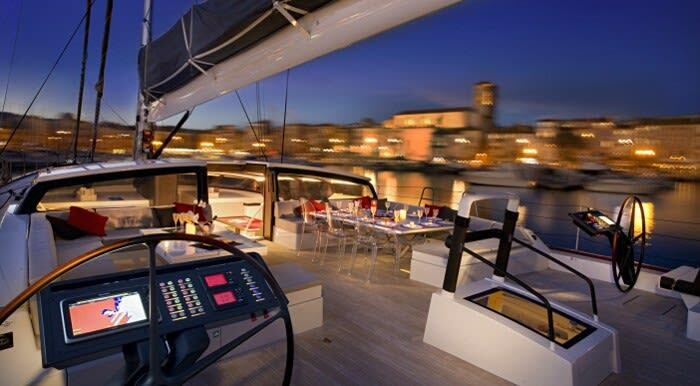 And yet her lateral ballasts guarantee that you can sail her almost flat. 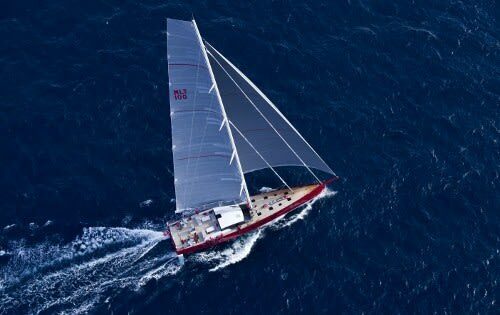 Her adjustable keel allows you to sail easily into ports and to access secluded creeks and coves. 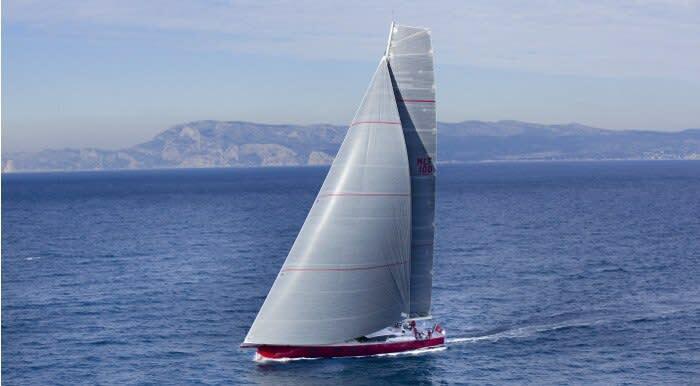 The sailplan is race boat style, with a towering 43m (120ft) mast set in the middle of the boat. 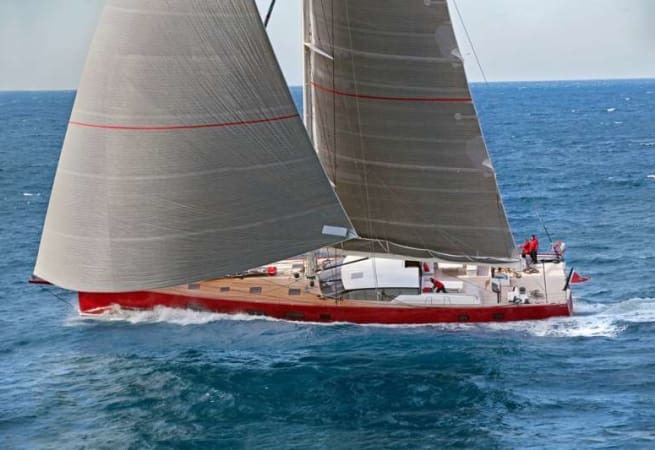 She has a fully battened square top mainsail, J1 headsail on a hydraulic furler; a J2 and a J3 staysail that can be removed to make tacking easier. 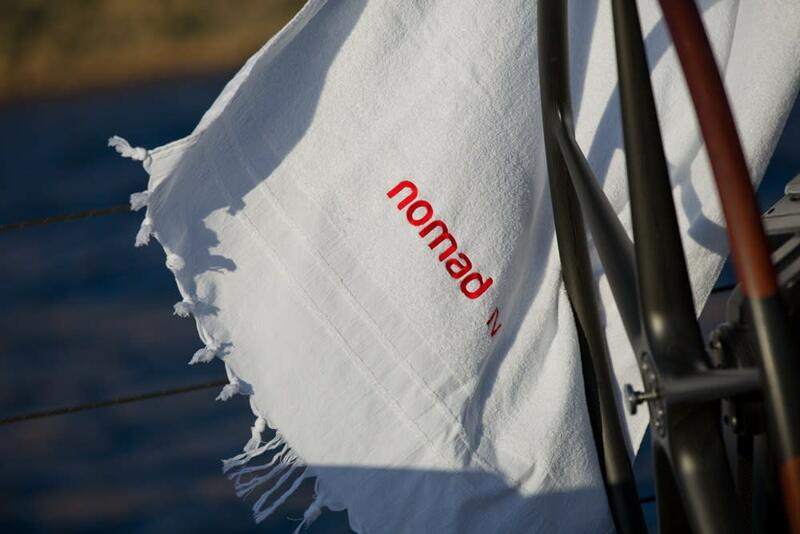 Upwind sails are all in moulded North 3di carbon/Dyneema laminate (lighter, more durable and with less deformation than 3dl, but more expensive). 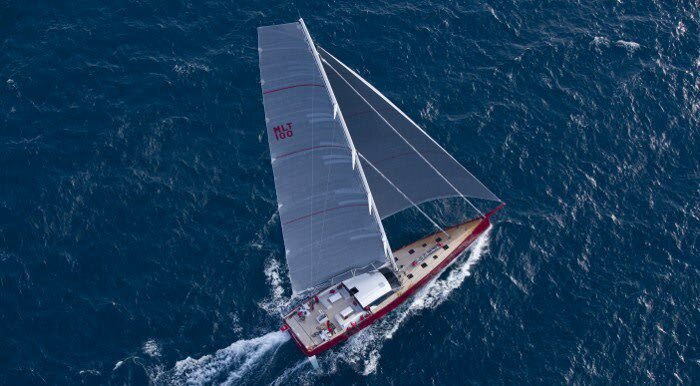 The gennaker is built in Cuben Fibre and there is an enormous 980m2 spinnaker for downwind sailing.